This wooden man set from Baguazhang is one of the best, not only teaching techniques, but also body mechanics and Qi flow etc. 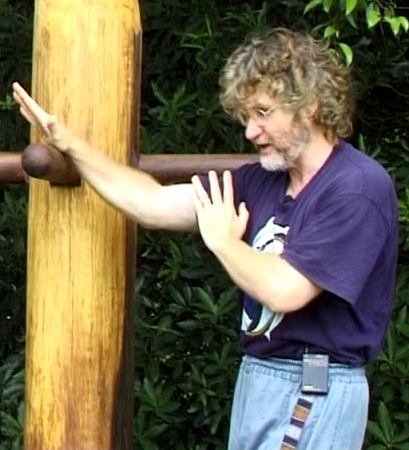 It is also one of the rarest training sets from Baguazhang, invented by Chiang Jung-zhiao. On this volume, Erle shows how to perform the first four of eight sets along with their self-defense applications. This form is great for building up all of the correct muscles for self-defense.